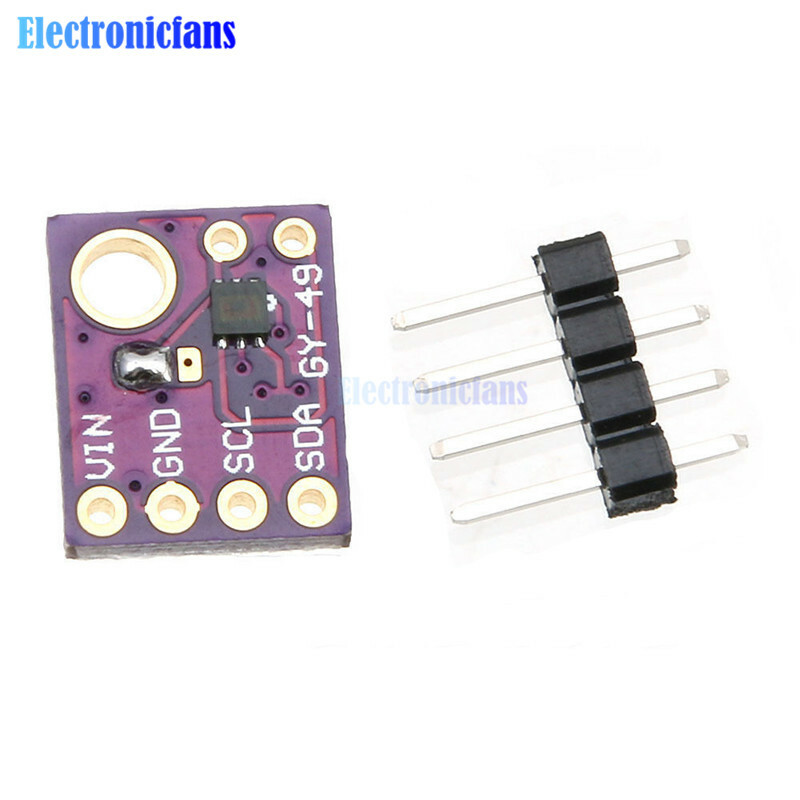 Does anybody know any low power light sensor which can produce pin change interrupt for Arduino? That's way too high for battery powered node. What I want to build is the node with movement, light (on/off), temperature and humidity sensors. For the moment this light module is the showstopper for my node. I also have BH1750FVI GY-302 one which good power budget, but it's not able to produce pin change signal to wake my node up on when light is on or off. Just ordered APDS-9930 which seems to have INT pin which can be configured to rise by threshold, but maybe somebody know the better solution? You could try the MAX44009 That is low power, and able to sent an interrupt (2actually; low and high) to your node. The only downside is that the Ebay/Aliexpress breakout boards do not have the interrupt pin broken out. you can also find OPT3001 boards at aliexpress if i'm not wrong. Maybe a bit more expensive than MAX at ali, but you can get the INT pin (you'll need to remove the regulator if there is one onboard, for low power). MAX and OPT300x are almost equal for low power, not a big diff, except the lux range but i use it for indoor (so i'll never reach >100 000lux!). I use OPT3001 because it's cheaper at mouser in quantity. Or a photoresistor and a transistor? Both have interrupt pin broken out, it's just on the opposite side for the MAX44009 board (next to "49" text) instead of inline with other pins like for OPT3001. MAX44009 is much cheaper as a breakout board, and after removing the regulator (I run it on button cell) the power consumption is just insanely low, I can't even see the difference with my multimeter when it's connected to the board or not. I have not tested the OPT3001 yet but I don't expect much more power consumption after removing regulator. If you keep the regulator you should stay below 10µA with the 2 boards, I don't believe you can get that low with a photoresistor. Yes, I also just love I2C sensors, thus prefer them against other due to power and pins consumption. @Vladimir-Dobrikov If you are getting false positives, it could be because of your input voltage. You are only supplying 3.3 volts which is too low. 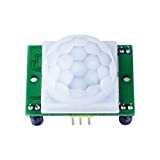 The operating voltage of these is 4.5 - 20 volts. @Vladimir-Dobrikov Using a 10K pull-down resistor at full brightness using 3.3volts you are going to consume somewhere around 0.3mA, which is going to probably be your highest consumption. On a dark moonlit night you are only consume around 41 uA. I wouldn't think that should be too bad. Unless I calculated something wrong, that should last a while. @dbemowsk for the moment I don't use any light sensor (still waiting for delivery). As for PIR, I've connected it a bit unregular way. When I test it with serial connection, it works pretty stable and predictable way even with 3.3v. // Only 2 and 3 generates interrupt! // Is there any convenient tool lib for that? // Sleep until interrupt comes in on motion or light sensor or sleep timeout. 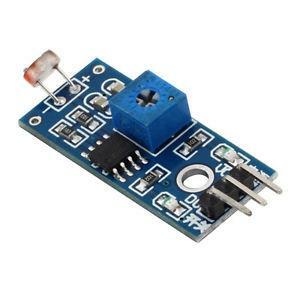 A simple solution you can use is to power the LDR Sensor board (shown) from an output pin on the Arduino, turning the pin/power on briefly while you take a light sample. (An arduino pin can drive 20ma safely from memory). For example, if you sample the light level for 10ms (0.01 sec), every 10 seconds (or 1 sec etc), your average power requirements (for the light sensor) will drop from 1.1ma to 0.00011 if I've done my maths right. This is assuming you don't need to 'instantly' know every little change in light level. If you are recording general ambient light levels, having an interrupt for every minor change could generate excessive interrupts and data transmissions, consuming heaps of power for the RF transmission. In my system, I measure ambient light with a 10 cent LDR and resistor, and UV levels with a UV sensor. I started sampling every 10 seconds during initial tests, but now I only wake the Arduino once a minute, take a sample and ONLY transmit data if either has changed or 15 minutes has passed. By doing this, my light sensor module has been running 18 months with a small lithium battery, charged by a small solar panel. I checked it a few weeks ago and found the solar cell covered in cob-webs and dust etc, but it was still charging fine. Has templates for LDR, Temp, Hum & Motion sensors. Can manage turning your LDR on/off as required. I don't have the specs in front of me at the moment, but the versions of this device I have (with circuit diagram) look the same and operate internally on 3.3v and have an LDO 3v3 regulator, enabling them to run off 5v+. I think you can see it it the large picture, under letters VCC (in red), it's marked "7133-1#". @Vladimir-Dobrikov is correctly powering it by providing 3.3V to pin 3 of jumper block 1, this bypasses the regulator, providing your 3.3v direct to the circuitry (on mine at least). The wiring @Vladimir-Dobrikov used looks the same as mine, i.e. the jumper and power to the pin in the upper right of the photo. In my case, I use them to turn on several different room lights when someone enters and have not noticed any false triggers once I adjusted the sensitivity down a bit. Great value and low power - fantastic devices!!! Have you adjusted the sensitivity? All of mine (10) arrived set to almost maximum sensitivity and I had false triggers in an empty room, however once I adjusted the sensitivity a low as I could, yet detect a person, they have been 100% reliable. NOTE: These devices need to warm up, so I recommend leaving them powered up for 30 minutes before you attempt to adjust them. I also thought about step-up convertor to power PIR with exactly 3.3v, but I was said this kind of power line is quite noisy which again will cause false positives so Ive rejected this option. With this setup (3AA) my node became reliable and works that way about 1 week. As for light sensor, after some thoughts I came into decision to use BH1750FVI sensor which is also I2C one with low consumption if configure it with one time measurement mode (by default it's continuous mode). My use case is to trigger light by motion only if light level is 0. Now I just send light level alongside with motion event, thus no need of waking up by light interrupt anymore.